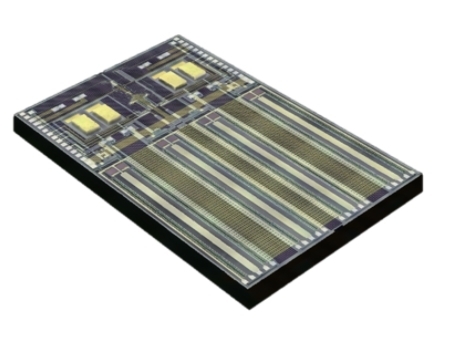 LOWELL, Mass.--(BUSINESS WIRE)--MACOM Technology Solutions Inc. (“MACOM”), today announced the production ready MAOP-L284CN, MACOM’s 100G CWDM4 transmitter L-PICTM (Lasers integrated with a Silicon Photonic Integrated Circuit) and supporting driver and controller IC chipset. To meet the bandwidth demands, resiliency and data redundancy requirements of today’s Cloud Data Centers, data center optical interconnects are transitioning from 100G to 400G, driving explosive demand for high-speed optical links. MACOM’s demonstration shows the platform’s PAM-4 CWDM4 capability of uncooled operation at 400G at distances up to two kilometers on single mode fiber. These devices leverage key MACOM technologies optimized for high port density applications in Cloud Data Center applications. The demonstration will transmit 100G PAM-4 over a single lambda with the L-PIC platform at OFC 2017. MACOM’s L-PIC device combines four high-performance distributed feedback (DFB) laser diodes using MACOM’s patented Etched Facet Technology (EFT), four 28G Mach-Zehnder optical modulators integrated with a coarse wavelength division multiplexer, monitor photodiodes and a high-performance output coupler for operation on one standard single mode fiber. Using MACOM’s patented self-aligning etched facet technology (SAEFTTM) for precision attachment of the lasers to the SiPh L-PIC, this device enables customers to bypass optimizing optical coupling with active alignment and curing, offering instead an integrated single device that reduces manufacturer assembly time and component cost. MACOM will feature demonstrations of its L-PIC based CWDM4 chipset solution and 100G over a PAM-4 single lambda on the L-PIC platform at OFC 2017, Booth #1736, March 19th-23rd in Los Angeles, CA. To make an appointment, contact your local sales representative. For more information on MACOM’s broad optical and photonic portfolio visit: www.macom.com. MACOM is a new breed of analog semiconductor company — one that delivers a unique combination of high growth, diversification and high profitability. We are enabling a better-connected and safer world by delivering breakthrough semiconductor technologies for optical, wireless and satellite networks that satisfy society’s insatiable demand for information. MACOM is the partner of choice to the world’s leading communications infrastructure and aerospace and defense companies, helping solve their most complex challenges in areas including network capacity, signal coverage, energy efficiency, and field reliability, through its best-in-class team and broad portfolio of RF, microwave, millimeterwave and lightwave semiconductor products.